It was not just a wine bottle stopper. It ended up being a way for me to bond with my daughter in a way that I never had before. First things first: this isn’t a story about me sitting around and drinking wine with my daughter. She’s four years old. And this isn’t any wine stopper. It’s a banana. Not a real banana, mind you – let me go back to the beginning. My wife had gotten a new job and one of the requirements was that she travel – sometimes for a week at a time. As her first trip approached, I was nervous. How would our daughter react to not having mom there for several days? She and my wife have a cute little cuddle/story routine they do every night before bedtime. Would having just dad around be ok? I told my wife about my concerns over the phone as I picked up groceries the afternoon before she left. I wandered the aisles, looking for a wine stopper. The only one they had was a silly one shaped like a half-peeled banana. I smiled and shrugged and threw it into the cart, thinking my wife may get a kick out of it. Fast-forward through my wife’s departure: the kisses, hugs, and double- and triple-checking of everything, and her scurrying out the door to catch her Uber to the airport. After dinner and bath time, I settled my daughter in for her story and cuddle song. She smiled, snuggled her cute little into her pillow, and fell asleep. Phew! A wave of relief swept over me. That relief lasted until exactly two-thirty in the morning when my daughter suddenly screamed. I bolted into her room to find her upright in bed, shaking and crying. I hugged her close, feeling her head to see if she felt warm, checking to make sure she wasn’t hurt. I carried her into the living room, turned on the lamp, and rocked her. She was inconsolable. My wife had gotten in late and had a huge meeting first thing in the morning. I didn’t want to wake her. I frantically ran through ways to distract my little girl and make her laugh. Suddenly, I thought of the wine stopper. I carried her into the kitchen and grabbed the stopper out of the drawer, before moving back to the living room couch. Off the cuff, I started making up a story about Bobby the Baby Banana and how he came to live at our house. 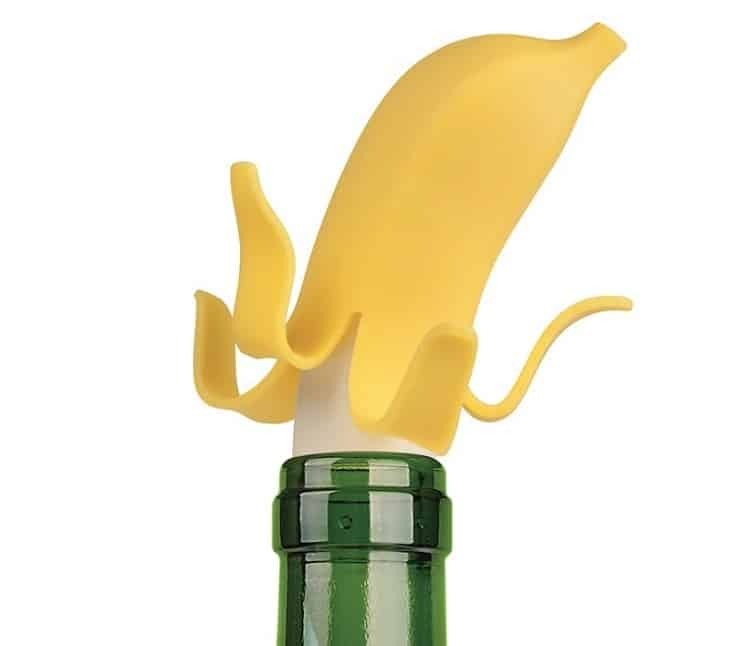 It was a silly story – as silly as the wine stopper itself – but my daughter smiled and laughed and played with the tiny banana as her eyelids got heavier and heavier. My wife walked back through the door as I was getting my daughter in bed one week later. “Yeah, Mommy!” My daughter bounced on her bed. “Daddy tells me a banana story every night about Bobby and it’s so much fun! He makes me laugh and laugh!” She waved the tiny banana around. It was so much more than a wine stopper. That silly little banana ended up creating a daddy-daughter story tradition that lasted for years. We don’t have the stopper anymore – it’s long since been lost – but we’ll always treasure the memories.